Of particular significance to the commercial refrigeration, air conditioning, heat pumps and fire protection sectors, the new F Gas Regulations require operators to both monitor and prevent the leakage of Fluorinated (F) Gases. Harmful to the environment, emissions of these powerful greenhouse gases can be kept in check with Draeger fixed gas detection systems. Ensuring compliance with the Regulations, these accurate, reliable systems can help organisations to reduce their carbon footprint whilst minimising inspection costs, as well as the costs associated with leaks and/or system downtime. 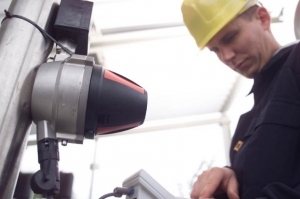 Fixed gas detection systems like the Draeger Polytron IR and Draeger REGARD Controllers are permanent and not only do they meet the requirement for a system to be installed, but they will continuously monitor for leakage of F gases. Unlike mechanical devices such as pressure drop indicators, they are non-intrusive and will not interfere with the use of other equipment. Able to alert the operator quickly and effectively, both audible and visual alarms can be generated locally and/or transmitted over distance as soon as a leak has been detected. In addition, because the gas detection system is calibrated it is able to detect leaks and raise alarms at several different user defined gas concentration levels. This means that it will automatically recognise the difference between small and larger leaks and, as a result, help operators to meet another requirement of the Regulation. (As part of the definitions in Defra Guidance on EC F gas Regulations, 2006, ‘calibrated’ is intended to mean a leakage detection system that can tell the difference between a large leak and a small leak'). 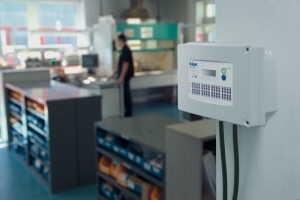 Although there may be no obligation for operators of systems under 300kg to install a leakage detection system, there is still a very clear incentive. For all systems of 30kg or more, the Regulation states that the inspection periods can be halved where a functioning leakage detection system is in place.This means that checks for applications containing F gas can be reduced to at least once every 12 months for those containing 30kg of F gas or more and at least once every six months for 300kg or more. In terms of record keeping, the operator is further aided by the fact that a data logging facility can record and store information on alarms and gas concentration levels. Found in a number of industries and applications, Fluorinated gases (F gases) are man made chemicals. Listed under a wide variety of trade names and numbers, they include hydrofluorocarbons, perfluorocarbons and sulphur hexafluoride. As most F gases are between 1,000 and 20,000 times more powerful than carbon dioxide in terms of global warming potential, emissions of even a small quantity of F gas is damaging to the environment. The Regulations clearly state that operators should use all available measures, which are technically feasible and that do not entail disproportionate cost, in order to prevent leakage of F gases. It also requires them to repair any detected leakage, and to use certified personnel to check all applications for leakage. Applications containing 3kg or more of F gases must be checked at least once every 12 months (except hermetically sealed systems which are labelled as such and which contain less than 6kg). Those that contain 30kg or more must be checked at least once every six months, and applications containing more than 300kg must be given a quarterly check. Operators of stationary systems containing 300kg or more of F gas must install leakage detection systems which, on detection, will alert the operator. These leakage detection systems must be checked at least once every 12 months to ensure proper functioning. They are also required to maintain records which, depending on the quantity and type of F gas installed, can include any quantities added or recovered during servicing, maintenance and final disposal. It can also mean the identification of the company or technician who performed the servicing or maintenance, the dates and results of the checks and other relevant information specifically identifying the separate stationary equipment.